Capable and comfortable, the Acura RDX is an optimal luxury crossover choice among Slidell and Covington drivers. 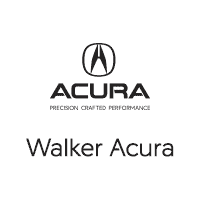 Fortunately, Walker Acura in Metairie, LA has plenty of new Acura RDX SUVs for sale. Available in 4 diverse packages, the Acura RDX offers plenty of customizability. Explore our RDX inventory today! Kelley Blue Book also positively reviewed this popular SUV, noting that the latest version of the Acura RDX offers “fresh technology, enhanced safety features, striking design inside and out, and a few surprises.” Ready to experience the RDX for yourself? Contact us to set up a test drive!